The Egard ad celebrates masculinity against the backdrop of men doing heroic things like fighting fires. “You know, for a company like Gillette to open up a commercial with a term like ‘toxic masculinity,’ I just don’t feel like masculinity is toxic,” insists Srulovicz, adding, “I think masculinity can be beautiful,” he said. Srulovicz told Fox that he put the ad together against the advice of some of his friends and employees whom he said demonstrated “a lot of fear,” suggesting the “political climate” meant “now is not the right time” to refute Gillette’s promise. But he thought he had to do something. 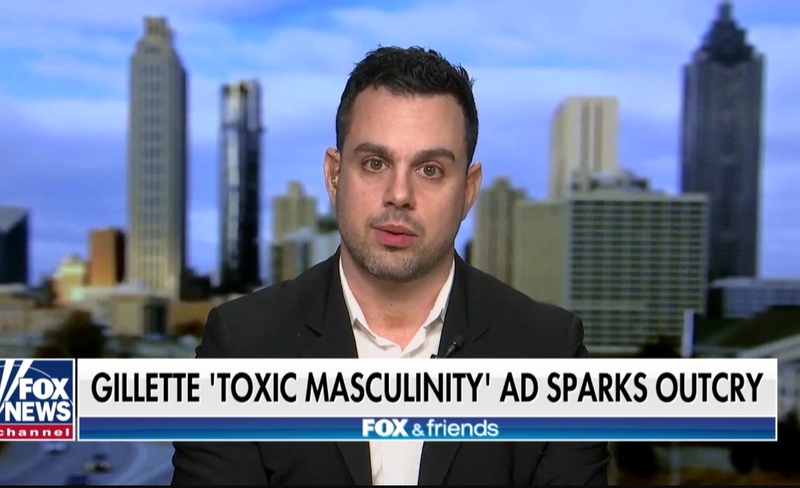 Egard Watch Company founder Ilan Srulovicz talks to “Fox & Friends” about Gillette “toxic masculinity” ad, Jan. 21, 2019. Fox News screenshot.